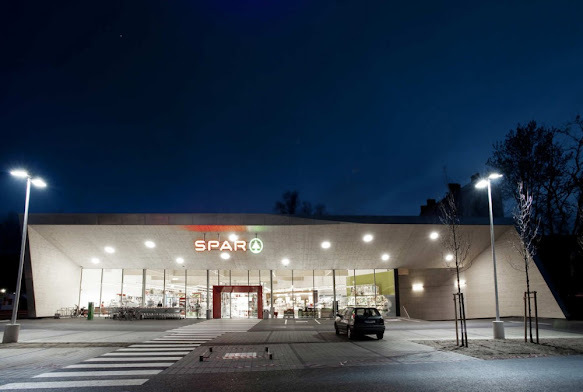 The SPAR brand is perceived very differently outside of the UK and for good reason. Take a look at its new supermarket in Graz, Austria. The striking design has been created by local Austrian architects LOVE architecture and urbanism. 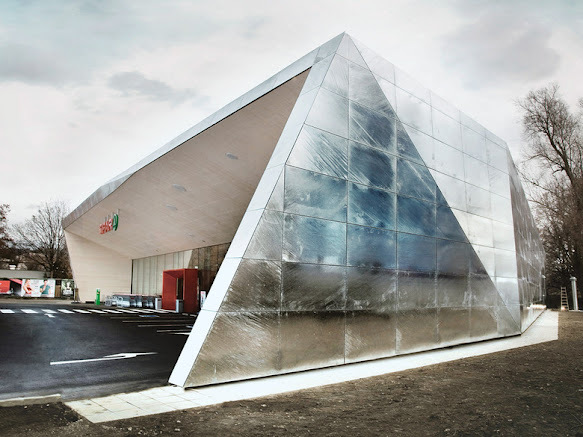 Not only is this design highly eye-catching, it is also CO2 neutral and energy independent.  This is a 3rd generation climate protection store with a gold certification from the ÖGNI (Austrian Green Building Council). 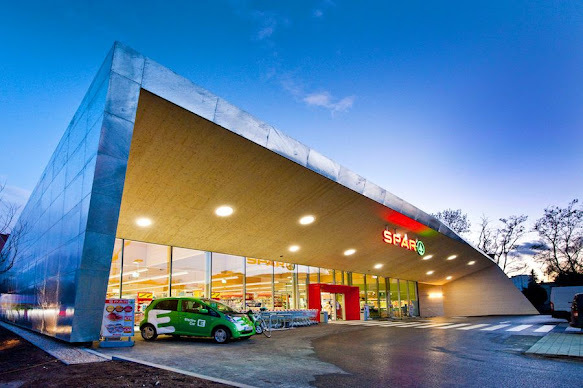 The highly insulating building minimises energy loss whilst a photovoltaic power plant located in the parking lot and a hydropower turbine in the adjacent Mühlgang stream will create more energy than the store will use, allowing excess energy to be fed back into the grid. Environmentally friendly and sustainably built stores aren't new of course. In the UK, Tesco has led a number of initiatives to reduce carbon footprint of its stores, such as the Ramsey store (see Tesco's first zero-carbon store) built in 2009 – and the new flagship Tesco store by Woods Hardwick (new eco Tesco store in Corby) which is soon to be the largest environmental store in the UK at 80,000sq ft.
We detect some visual ties to BP Helios House and whilst this is not the only retail design to break free from trapezoidal tradition, we really enjoy the way the architect builds dynamic-tension from every conceivable angle across the building's external structure. If there is anything to criticise, it might be the under-branded, underwhelming interior space. Whilst the spartan look might be deliberate, it strikes of a missed opportunity to optimise own-brand and 3rd party revenue channels. 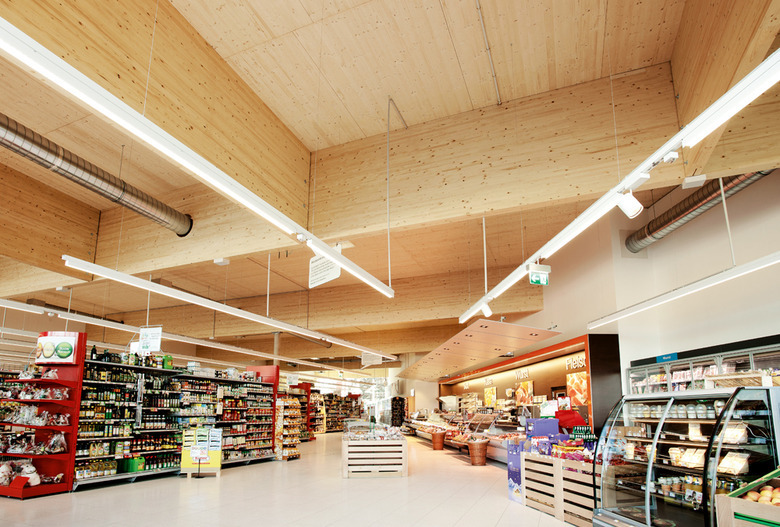 The wood ceiling and use of energy-efficient LEDs is of course impressive but we would like to see further evidence of how the retail design translates into a powerful customer experience. Overall this is a very thoughtful design. The new electric bike charging station and pedestrian/bike bridges should help to offset criticism from detractors who denounce the Graz design as overtly car-friendly and more of a vanity project.